Established in the 1920s, Hong Kong University Alumni Association (HKUAA) is the longest standing alumni body of the University of Hong Kong. 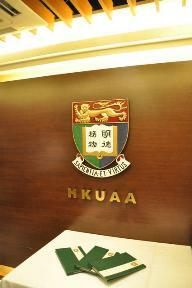 It has over 34,000 members and is linked to an extensive [overseas network] of HKUAA bodies worldwide. HKUAA owns a very popular Clubhouse which is centrally located in Central near Lan Kwai Fong. a mutually beneficial and meaningful fellowship with members of the University staff and student and particularly other members of the alumni so that all alumni will be inculcated a sense of pride and ownership for being member of the Association. Enhance bonding and fellowship via social, cultural, educational, sports, scientific and special interests activities.